Are you having a plumbing emergency in Calgary or surrounding areas? We are here for you 24 hours, 7 days a week. We offer emergency plumbing and heating services to Calgary, Airdrie, Okotoks, Langdon, Bragg Creek and more. Whether it’s a tiny water leak, you smell natural gas, or something much more serious, don’t take any chances. 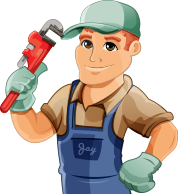 Explain your plumbing, heating or gas issues to one of our trained professionals. Don’t risk the health and safety of your family.